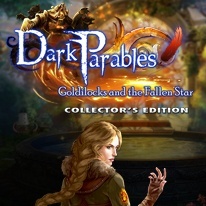 In the next installment of the beloved Dark Parables series! The Kingdom of Barsia has been invaded by mechanical beasts that are attacking its citizens. You’ve been called in to investigate these attacks and discover the origins of a mysterious artifact. Can this artifact save the kingdom… or will lead them down an even darker path? Only you can help Queen Valla discover the answers. Find hidden objects and solve puzzles to further your investigation and uncover the dark secrets lurking just beneath the surface. - The fallen star offers a wish, but who will make it? - There's more to Jack's return than meets the eye in the bonus game! - Did you catch all of the snowflakes? If not, try again! - Replay every HOP and mini-game to your heart's content.